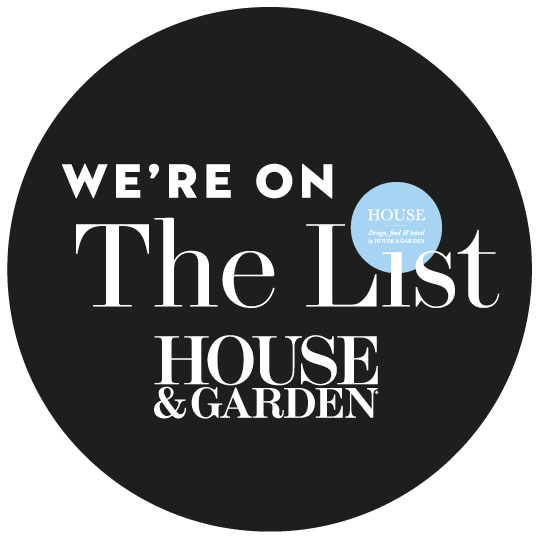 Violet & George was born in 2009 out of a passion for exquisite soft furnishings and meaningful, luxury interior design. Since then, we have become synonymous with luxurious interiors created to reflect and magnify our clients’ individual tastes. We’re ‘new fashioned’, skilled in the traditional crafts of interior decoration and fastidious about attention to detail, but at the same time aware of contemporary trends, taste and technology. The attention we pay to what matters most in the lives of our clients sets us apart. 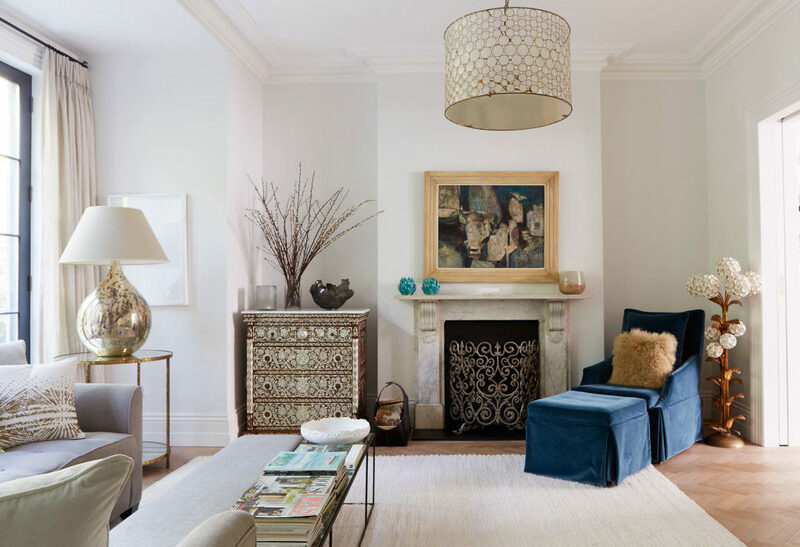 Our design and decoration consultancy flexes to work whichever way suits them best. It includes made-to-measure tailoring and upholstery, paint and fabric advice, intelligent lighting solutions and unique decorative flourishes. From our West London studio and workshop in Middlesex our designers and craftsmen collaborate with a trusted network of specialists to ensure exceptional levels of fit and finish. And high levels of customer delight too in our soft furnishings offering to London. No request is too exotic (or mundane); no imagination too wild; no expectation left unfulfilled. 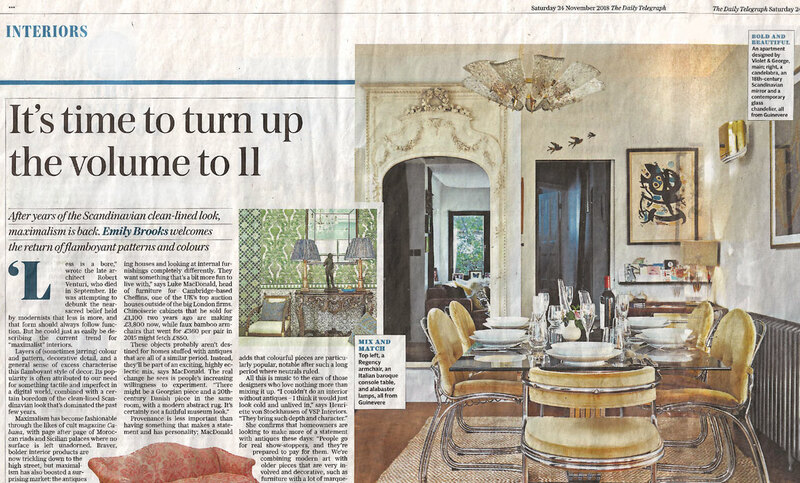 “It’s time to turn up the volume to 11” – Violet and George Interior Designs featured in The Daily Telegraph on Saturday 24th November 2018, talking about the return of “maximalism” and showcasing our West London Apartment project. You don’t have to be a qualified interior decorator to achieve exceptional results in your home. Sometimes all you need is some inspiration, a dash of imagination and some simple know-how. Next time you’re in North Kensington, drop in and say hello. We’re on St Helen’s Gardens, not far from Ladbroke Grove tube station. Alternatively give us a ring or send an email. You’ll find our details on the contact page.